Have you ever wondered why ice floats, how the GPS on your mobile phone works (and what it has to do with Einstein), or why woollen jumpers shrink in the wash? 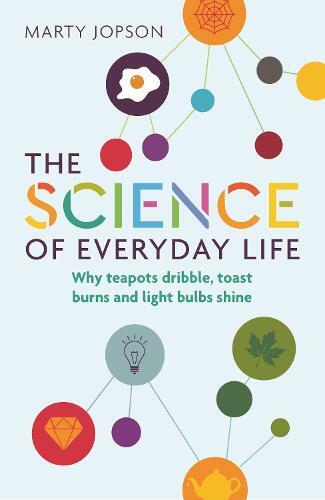 In this fascinating scientific tour of household objects, The One Show's resident scientist Marty Jopson explains the answers to all of these, and many more, baffling questions about the chemistry and physics of the stuff we use every day. Always entertaining and with no special prior scientific knowledge required, this is the perfect book for anyone curious about the science that surrounds us.